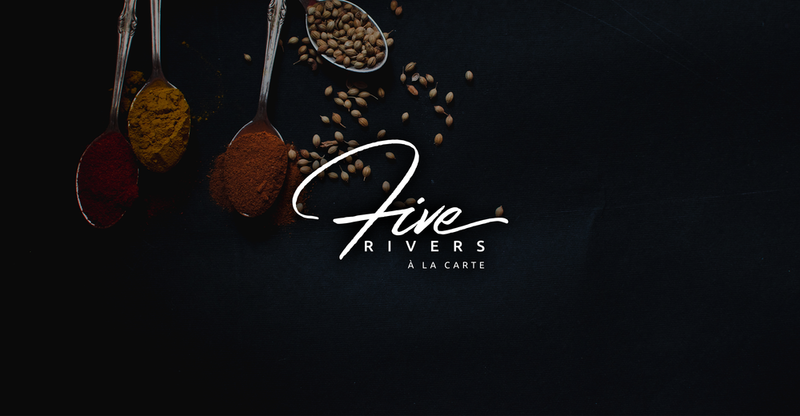 The Five Rivers Group approached us to assist them in establishing a new brand identity. Renowned for their opulent presence in the fine dining and catering industries, they were keen for us to introduce them to more luxurious options as a way to convey the essence of their brand as a whole. Five Rivers also needed to update all digital communication; from the way emailers were constructed to the task creating two new websites for their A La Carte and Outdoor divisions that would consequently replace their existing group site. In keeping with changes to the way content is shared on Instagram, we were asked to devise a user friendly way to share news and updates and to construct an intentionally beautiful profile grid layout using branded posts. We updated the logo, using a rustic, signature style to carry forth the personal touch of famous head Chef Rashpal Sunner, paired with a softer contemporary font. We introduced fine papers from GF Smith to inspire the branding. Square business cards embodied the high end feel of the direction we settled on; incorporating papers from the Peregrina Majestic range and a copper foil that resonated with the restaurant interior styling. Two websites were designed to split up the two divisions in a bid to target the right audiences for each. We began by analysing the way that users would be expected to use the website, what information they would be looking for primarily and what the goals were for each division in order of priority. A content strategy was pinned down in a set of wireframes and once the group directors were satisfied, we designed each website page using bold imagery and textures to simulate the papers chosen during brand development. Tone of voice is a pivotal part of a brand. To convey this visually, we worked on the Instagram profile grid, setting tonal distinction for each division - light for the bridal, celebratory Outdoor division and a deeper tone for the sumptuous restaurant division. Email Marketing was updated through newer mobile friendly templates built with the user in mind. Promotional Campaigns for seasonal events at the restaurant now reflect the newer branding - using deep tones, luxurious imagery and personifying typography to achieve ultimate sophistication. Much of this project is still in progress. Be sure to check back soon as we reveal more!